I've had my eye on! As you can see I've kept the colour scheme minimal with Black, Navy, Grey, Taupe and Olive. I always try to add in versatile pieces that can be mixed and matched from day to night. 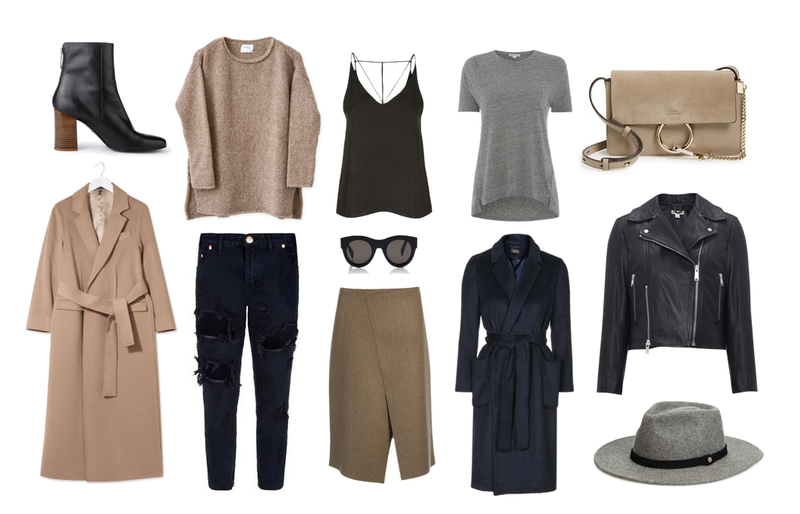 My favourites are definitely the Oatmeal sweater and the grey fedora hat! I'm currently in the stage of clearing out my wardrobe and planning my new Autumn staple purchases. I want to try out the 37 piece capsule wardrobe rule, if it works I'll definitely write a post on it!